You can promote all the lean tools you want, but 5S and kaizen events will only get you so far. It's hard to change a culture without changing the way you deal with people. Just like sometimes the soft dollar savings of a change have a much bigger impact than the hard dollar savings. 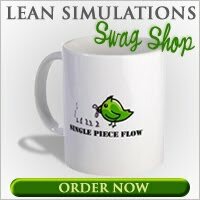 The intangible side of lean is the hardest to describe, but the most important. 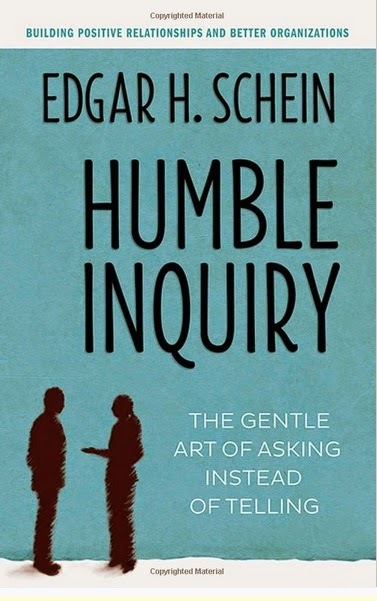 Edgar H. Schein's book, "Humble Inquiry," doesn't mention "lean" anywhere, But after reading it, I feel like I've had a glimpse of that elusive secret sauce. Humble Inquiry is a book about changing culture. Unlike Toyota Kata, which also talks about asking the right questions, Humble Inquiry doesn't describe a specific method. Schein's focus is on the soft skills of management and how you can engage people by building relationships. "Checklists and other formal processes of coordination are not enough because they cannot deal with unanticipated situations." As hard as it is for me as a trained engineer and lean proselytizer to eschew a standard method, I recognize the value of relationship building. As companies get larger, they need standardized methods to ensure quality. But so many times, the amount of red tape created by setting up standard systems becomes a hindrance to making improvements. "The world is becoming more technologically complex, interdependent, and culturally diverse, which makes the building of relationships more and more necessary to get things accomplished and, at the same time, more difficult. Relationships are the key to good communication; good communication is the key to successful task accomplishment; and Humble Inquiry, based on Here-and-now Humility, is the key to good relationships." "Humble Inquiry is the fine art of drawing someone out, of asking questions to which you do not already know the answer, of building a relationship based on curiosity and interest in the other person." What I like about this book is that Schein presents many actual situations where a simple question can be asked. While there can never be a clear road map with rules for exactly what to say and when, these case studies are like little quizzes. He gives three options to choose from with varying results of success. In Western society, most job descriptions state that teamwork and collaboration is essential, yet rewards and promotions are consistently based on individual performance. Humble Inquiry attempts to bridge that gap by helping us to show respect by asking the right questions. Click here to buy Humble Inquiry from Amazon right now! Thank you for sharing the post! Nice to know. Visit http://www.ifriendshipdayimages.site/2018/07/top-20-happy-international-friendship.html and read latest friendship day messages.